Tadashi Shoji - A Date To Remember - Let's Celebrate! 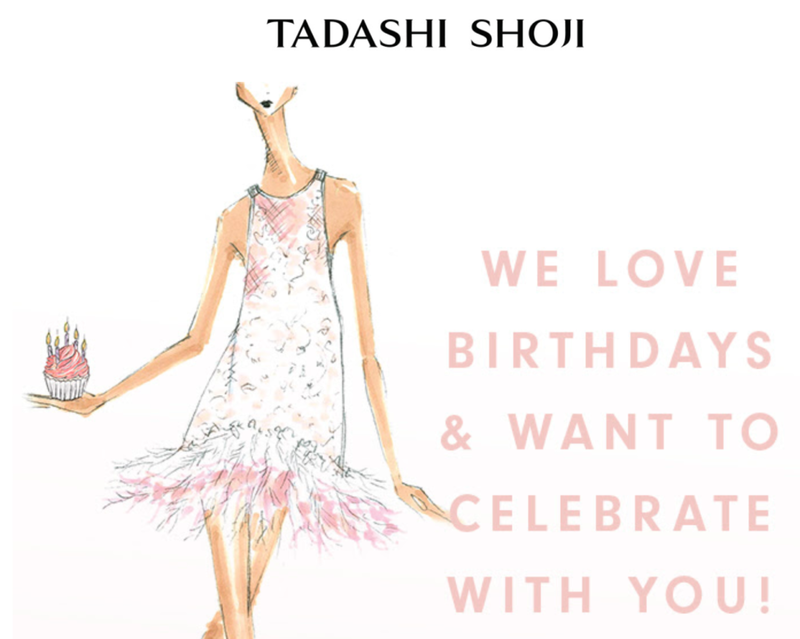 Tadashi Shoji loves birthdays and want to celebrate with you! Tell them the date and they'll send you a special gift now and during your birthday month! !